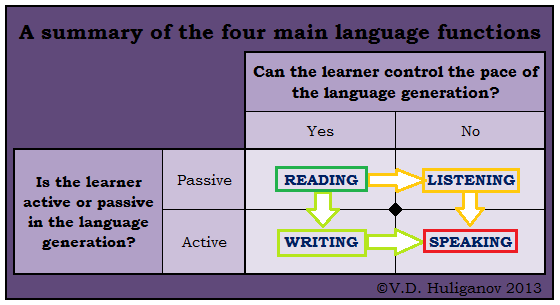 I am now returning, having received a moment ago a timely reminder from Victor Berrjod, to the discussion on the above diagram, and what it can show us of use to the learners of language. In the earlier article, I wrote about how in reading and in listening the language user is passive – not having to generate his own grammatically correct language or have the right word at hand. Therefore reading and listening are intrinsically less challenging than writing or speaking. For someone not in an active state with his command of a foreign language, reading and listening creates less of a problem than writing or speaking. If he, or she, knows the word in their passive memory then it should be that they can deal with reading it or listening to it. In order to be able to speak or writing a person must find that word for themselves. So we have compared the two rows in the diagram. Let us now compare the two columns. Anglicans ARE Catholic. In fact, many of us secretly believe we are more Catholic than the Romans, though we’re usually tactful enough to mention this to them. And of course, we are ALL, Roman and English, “under Christ” in an ultimate sense – the question at issue is merely the more mundane one of how exactly one goes about delegating Christ’s authority on a day-to-day level. Every Christian is a Catholic except those who believe that their denomination has a monopoly. If we be looking unto Jesus, the Author and Finisher of our Faith, as it says, we will all be looking at the right direction, the right leader, who needs no vicar, the Way, the Truth and the Life. The authority of Christ is not at this time a political one – the devil has the lease on the politics of this world and its nation states for now, so Churches in all cases should be separate from states. I would like to give you today some initial thoughts on the diagram, and to do that I’m going back to a simplified form of the diagram without the flows included as yet. This is just to get a clearer image of the base ideas before we get onto the various conclusions that can be drawn from it, when we will go back to the diagram including the arrows and boxes showing the auditory and the visual routes of progressing from reading to speaking. For today I would like to offer for your consideration that whatever we do, whatever applications we use language for, for instance counting, swearing, singing, praying, shopping, skyping, reciting poems, selecting food from menus, asking the waiter what he recommends or chatting up Paul Pimsleur‘s native speaker female on the bus (the way all his courses seem to start), all these various applications and whatever others you can think of, are all based on one or more of the above gerunds: reading, writing, listening and speaking. Therefore every linguistic activity can be reduced to these four functions or skills, and the mastering of each of these skills is essential for a full ability to apply the language in all possible situations. When we talk about “language”, we refer of course to the tongue – the words language and tongue are connected, and people tend to consider that speaking is the gold standard. “How many languages do you speak?” is the question we hear. Only people who are a bit more thoughtful ask how many languages do you read, write, listen well in and speak, however there are CV formats which do ask precisely that format. If you want to submit a CV in World Bank format, for instance (this is one of the industrial standards when tendering for public sector work, in case any readers haven’t come across it) you are supposed to make mention of reading, writing and speaking, not necessarily listening. If you use the Europass format you’ll see from the CV templates available here, that you are expected to give yourself a grade from the Common European Framework of Reference for Languages, which defines what you’re supposed to be able to do to be an A1, an A2, a B1 or a B2, or in the end a C1 or C2. But you have to grade yourself on “Understanding” which covers both reading and listening, on “Speaking” which is divided into spoken interaction and production, but whichever way you look at that it’s still speaking, and finally on writing, which isn’t broken down further, but of course could be when it comes to languages like Chinese and Japanese – whether a person can only write pinyin or kana or if they can go the whole way and know the characters and word combinations which would be known at a certain level of education in the school curricula of the countries involved. With the above I hope to have introduced the idea that these basic four functions are common to whatever we do with language and underlie everything we do, even though people commonly talk about “speaking” a language. What are the relations between these four? We already saw above that the EU’s great minds grouped reading and listening together as “Understanding”. Obviously that’s true, but I don’t prefer to regard it that way. One needs understanding in order to speak and write also, so more strictly the distinction should be drawn that when I listen or read I am the passive recipient of language and when I speak or write I am the active generator of the language, unless I am simply copying what I have just read or heard. Clearly it is easier to be the passive recipient of language that to generate it actively. If you do not have passive knowledge then even reading or listening with understanding will not be possible, but you don’t need to be in a particularly active state to do it. Also some degree of uncertainty as to which registers of words to use or the grammatical niceties may not necessarily block understanding, as context can be the guide and for listening intonation will guide – in the case of face-to-face listening body language also provides a lot of guidance and still as for reading you have context. Listening despite all that can be harder than just reading since you don’t control the speed of input. Not unless you have a recording with a pause button and privacy to listen (maybe with headphones or alone) so that you can repeat or slow down a listening piece all you need. In this case the degree of difficulty between listening and reading is more blurred. Listening presents issues if you have a speaker with an unusual accent or a speech impediment, just as reading presents difficulties when reading the work of someone partially illiterate, but for the purposes of our discussion here let us consider that all the material we would be dealing with is standard language of an adequate quality. In a sense then we can look at reading as the passive partner of writing, writing being understood as either handwriting or on a keyboard, or on any of the input methods on a mobile device – maybe even voice recognition which blurs the distinction between speaking and writing, but I would class it for our purposes as writing rather than speaking. Likewise speaking and listening are an active/passive pairing. They have in common that they don’t involve the written word, and that someone with no literacy who is a native speaker of the language could also take part. Normally conversations take place in which people take turns in speaking and listening, or in chatrooms in reading and writing. The very term “chatroom” shows how readily we can transfer the idea of speaking and listening to writing and reading respectively. We think of ourselves as “chatting” to people when not a decibel is heard in terms of auditory noise beyond the clicking of the keys on our keyboards. 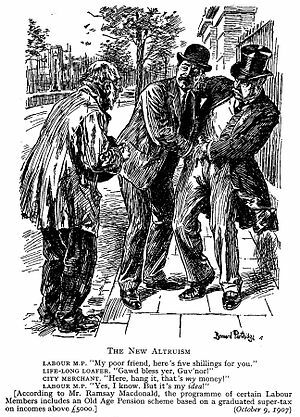 It’s also not uncommon given today’s technology to find one’sself in conversations with people who are sorting out their microphones where one side is talking and the other writing. This is not unusual in conventional settings either if someone is mute or has lost their voice, but can hear. People proficient in all four skills can naturally feel reading coming in as an automatic substitute for listening and writing for speaking, where the sound-based pair are not available. These days, when someone in an online exchange tells us some bad or good news, we might naturally say “I am sorry/glad to hear that”, even though we only read it, and if the other person were to even raise an eyebrow it would be either taken as an attempt at humour or as an excess of pedantry. Allow me to bring in one spiritual dimension just for one paragraph – those not liking it can skip to the next one. The Bible (Romans 10:17) says “faith comes by hearing and hearing by the Word of God” – this clearly shows that the hearing is something that is read. So the Bible itself puts hearing and reading on a parity. When we consider the phrase “we walk by faith and not by sight” (2 Corinthians 5 v 7) the fact that reading does involve sight rather than the sense of hearing is not conflicting, because the act of reading is like listening or hearing but by using our eyes. The “sight” which the Bible places in apposition to faith in many places is the “seeing” of experimenting. Instead of taking a promise from the Divine revelation on trust needing to probe it and see if it the case by means of experimentation. That’s not the same as testing one scripture against other scriptures, which is generally shown in the Bible itself to be the correct way to understand scriptures. So we have two active/passive pairs, one involving an aural/oral convention and the other eyes and hands with symbols. However, these things are heavily interconnected, and can cross over. A person reading in a foreign language on their own will usually “hear” what they are saying with a kind of “inner ear” – when we are young we start out by reading aloud and are led gradually to “read in our heads” at which point we are invited to allow our voice to continue in the head, but unuttered by the organs of speech. In due course this may become a voice doing accents or having a quality that we cannot even imitate with our own voice, as we imagine the voice of the speaker. However in the main one is limited to the voices which one might be able to make a fair attempt at imitating oneself, those of us who are at all inclined to do imitations. In this way, the act of reading and the development of that inner voice can directly influence speaking, although on my diagram I have not drawn or even allowed for a direct route between reading and speaking, as one will never develop this inner voice from reading alone without the opportunity to listen, and I have come more and more to the view that the more one “front loads”the listening aspects in a language learning programme, the better this effect works. That’s one of the reasons I now recommend doing audio-only, listening based courses prior to any of the reading and writing required by the Goldlist method. There may be only 10% of the material you need, but it makes perfect sense to do this part right at the start, and that’s also consistent with the way we learn the first language – we have heard it all before we ever try to write it or read it. That’s all I’ve prepared for today’s article, but I have more to say and we’ll get onto that during the week. In the meantime your comments are as ever most welcome. Today, I am just uploading this for your perusal. I will start commenting on it and explaining it and drawing conclusions from it during the week, and hopefully what I will have to say will be quite useful for language learners. For today however I just wanted to let you take a look at the picture and you are welcome to give your initial thoughts in the comments. There is actually so much that I could have to say from this simple diagram that I don’t worry that discussion before I have started to show what it is all about could “steal my thunder”. On the contrary it would be interesting to see what interpretations people would place on the diagram as it stands. Should you first master your own language before learning another? This morning on Facebook someone cleverly asked the question whether one should first master one’s native language before learning another. The person asking the question later in the thread comes out in favour of the answer no, one does not have to first master one’s native language before starting another. Quite right too, but I was negatively surprised to see a number of people siding with the proposition. Do they think that they can even measure what it is to “master” one’s native tongue? I think it is even actually impossible to master one’s own language without learning another. It is impossible to be properly analytic about one’s own native language without stepping out of it. A common denominator among people who use their native language particularly poorly is that they have never undertaken serious study of a second one. This one’s been doing the rounds on emails. Hope you like it. 1. Two blondes walk into a building — you’d think at least one of them would have seen it. 4. I went to buy some camouflage trousers the other day — but I couldn’t find any. 5. My friend drowned in a bowl of muesli — a strong currant pulled him in. 6. A man recovered in hospital after a serious accident. He shouted, ‘Doctor, doctor, I can’t feel my legs!’ The doctor replied, ‘I know, I’ve cut off your hands’. 7. I went to a Seafood Disco last week, and pulled a muscle. 8. Two Eskimos sitting in a kayak were chilly so they lit a fire in the craft. It sank, proving once and for all that you can’t have your kayak and heat it. 14. What do you call a fish with no eyes? — a fsh. 16. Apparently, 1 in 5 people in the world is Chinese. There are 5 people in my family so one of them must be Chinese. It’s either my mum or my Dad — or my older brother Colin — or my younger brother Ho-Cha-Chu — but I think it’s Colin. 21. Ireland ‘s worst air disaster occurred early this morning when a small two-seater Cessna plane crashed into a cemetery. Irish search and rescue workers have recovered 2826 bodies so far and expect that number to climb as digging continues into the night. Ulotki dot. 1% dla mojej rodziny. 3. Someone who hasn’t already a decision in mind as to where to allocate their 1% of tax. The idea is that you could help us without it costing you a penny. I would also like for it to be not at the cost of any other worthy causes you may already be supporting, so please don’t take this as a request to divert to my family’s charitable funds away from anyone who is used to receiving your help. Many thanks to those who are willing to take the trouble to include one of my family in their tax return. Keep calm and have an audit! Chinese from scratch – a 1260 hour work Programme optimising your result. If you want to learn Mandarin you can’t duck out of the time it takes – you can only optimise it. 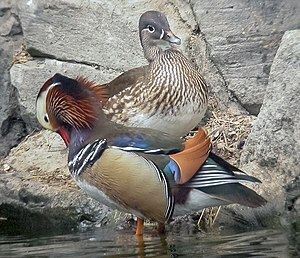 Here we see some mandarin ducks optimising their time on a lake. 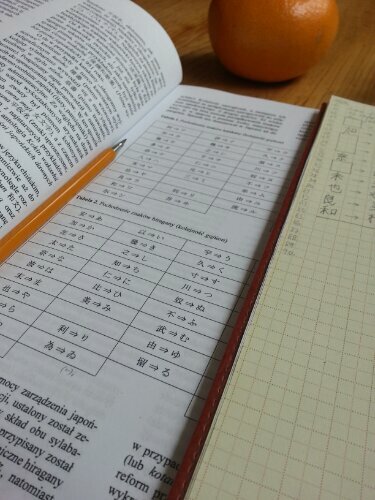 I want to learn Mandarin. I am not sure how to go about it. This is the very first language I am attempting to learn. I have not done anything yet. I am on very tight budget and currently not employed. I tried to access the free material on Mandarin (http://fsi-language-courses.org/ )but it is no longer accessible . I was wondering if I could use your experince and if possible sort of outline the steps I need to follow. BTW, I am not sure where to post my question. I am sorry if this the wrong place for posting it. I’ve prepared the answer as a table – it is a whole programme to 80% of Chinese that you’d need to get your degree, read newspapers, live an everyday life in China. The rest after that comes down to vocabulary building for which I’d recommend the goldlisting of dictionaries or of bilingual literature. You could spend four times as much time getting from 80% Chinese to 100% Chinese (ask Vilf “the Gilf” Pareto, he’ll tell you why, or might have done, until 1923 – now you’ll have to look up what he thought in order to know why, or simply accept it). Real Chinese philologists like Victor Berrjod might give you other useful sources better than the ones I have listed. All of the ones I have listed are available on Amazon. The audio courses are expensive so it will pay you to shop around a bit.